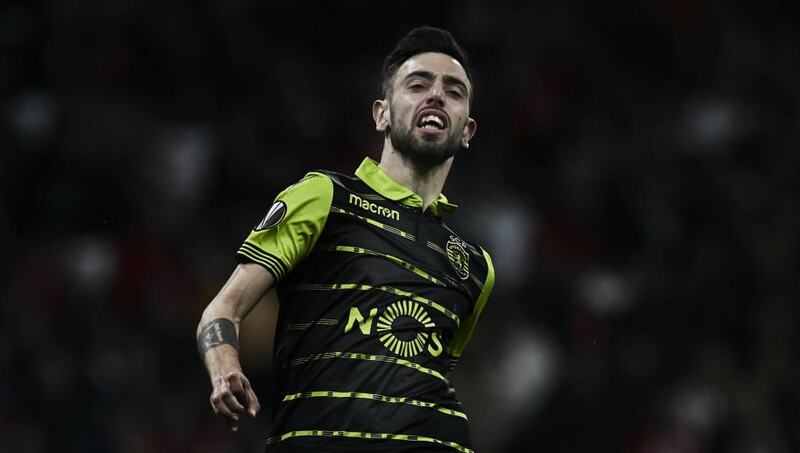 ​Liverpool are said to be in contact with Portuguese side Sporting CP over the availability of their star midfielder, Bruno Fernandes. The 23-year-old has been a key figure for the club this season, scoring 13 goals and tabling 18 assists for the title-chasing side. The way he has excelled in the Portuguese Liga means he stands a pretty solid chance of being called up to the national side for this summer's World Cup to add to his four caps. Naturally, such statistics have alerted clubs across Europe, one of those being ​Liverpool, ​who are resigned to losing Emre Can to Juventus this summer. The Reds do have Naby Keita coming in after a deal was struck last summer with RB Leipzig, but Jurgen Klopp wants to bolster his midfield further - and Fernandes could be an option. According to O Jogo (via the ​Metro), Liverpool have been monitoring him and have been impressed with his impact on games in the Europa League this season. Apparently Liverpool officials have already met with Fernandes' representatives about a possible summer move to Anfield, but one big sticking point could be the fee it would take to prise him away from Estádio José Alvalade. He may have only arrived at Sporting for a measly £7m from Sampdoria last summer, but his release clause is a whopping £87m, which would undoubtedly make things difficult. Although Fernandes has shown extremely promising signs, it would be a huge gamble to shell out that kind of money on someone still relatively unproven.